This shoe is available in whole sizes only. They are one size smaller, so we suggest you take one size up. These Viva a fruta rafia platform sandals are perfect for a playful summer. 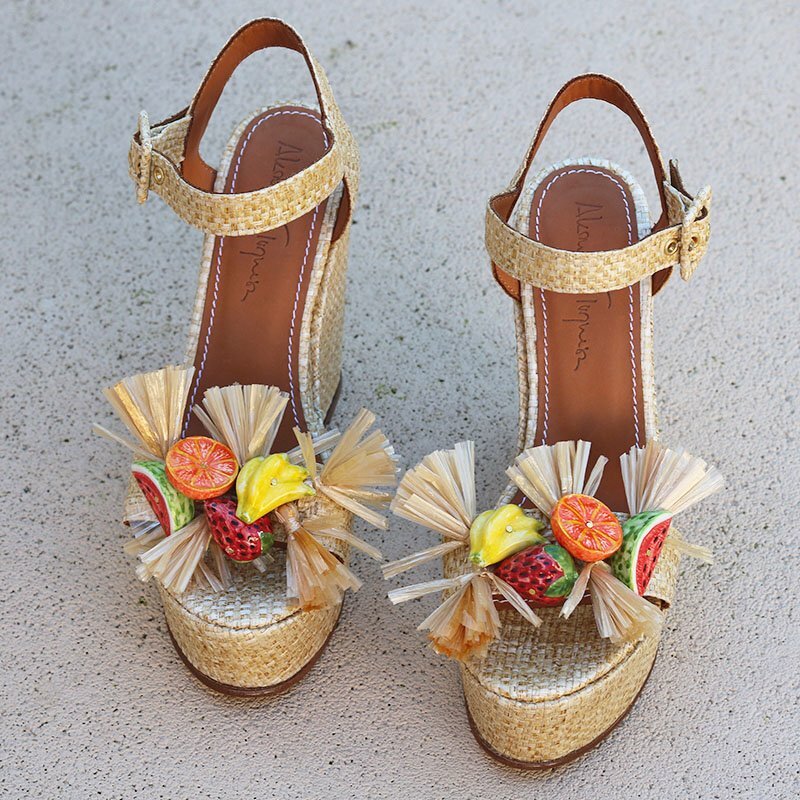 Inspired by the portuguese born Carmen Miranda, these sandals are a must have this summer. The unique work of our artisans that hand painted our unique Alameda Turquesa designed fruits are true luxury. This summer get something unique and something that nobody else has. Use them with your favorite pair of jeans or your favorite summer dress.